Welcome to the Edwards Driving Instructor Training Centre. With large corporate driving schools now commonplace in the market, it is easy to be drawn in by flash TV adverts and a persuasive sales pitch on a telephone, then have to accept mediocre instructor training as a result. Becoming a driving instructor will lead to a financially and personally rewarding career, choosing your own working hours and earning your own money. However, training is neither cheap nor easy, so choose a course to give yourself the best chance of success and great value for money. 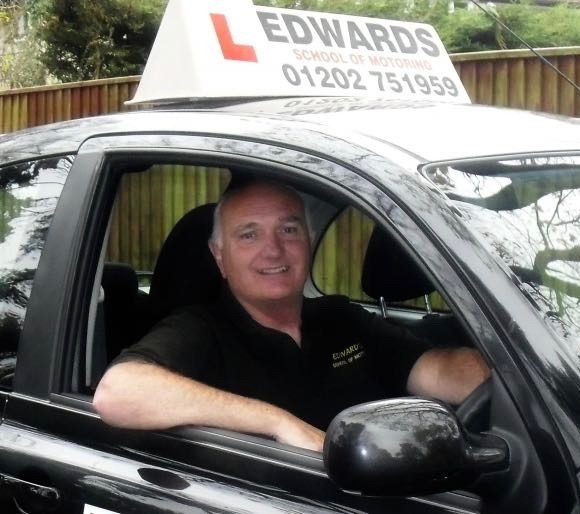 Why become a driving instructor in Southampton with Edwards Driving School? The driving instructor course in Southampton is taught by Steve Edwards, a driving instructor with over 35 years experience teaching the Approved Driving Instructor syllabus. He is the highest grade A instructor. What do our successful driving instructors have to say? In the current climate it has been a struggle for people my age to find a decent job. Steve’s course was well organised, professional and has given me the means to have a self employed career. Thanks. We offer our driving instructor training courses in Southampton and all surrounding areas, along the south coast, across Hampshire, Dorset, Wiltshire, Somerset, Sussex, Surrey and South London. Do you meet the requirements to become an ADI? If you meet these requirements then we can help you get on the road to a fantastic new career and become a driving instructor in Southampton. Contact 01202 751959 or 07929 661 714 for more information. Similar to the standard driving theory test, the ADI test is split two sections. Each part must be passed in order to pass ADI Part 1. The candidate will be given instructions on how the theory test works, then given the option of practice questions. The questions will appear on the screen with a choice of answers. The candidate may select more than one answer. There are 100 questions, with 85/100 required to pass. The candidate watches a video, driving from the viewpoint of a motorist. There are 14 hazard video clips, with 15 hazards to spot altogether (one clip has two hazards). The candidate will respond to the hazards if they feel the driver needs to take action, such as braking or turning. This is done through clicking the mouse, with higher scoring resulting from earlier action. There are 5 marks available per hazard, and the pass mark is 57/75. This is similar to the standard practical driving test but with more advanced aspects, designed to ensure the instructor is of a high standard. This ensures your pupils will be taught driving in a safe and proper manner. The candidate will be required to read a number plate from 27.5m, then be asked several questions on vehicle safety. The candidate will then need to drive on a variety of roads in a number of traffic conditions, showing expert skills on car control and anticipation and safety of other road users and pedestrians. There is a maximum of 6 faults before failure. This part assesses the candidates ability to teach pupils and is usually the hardest aspect of the ADI test. For this part the driving examiner will sit in the back of the car and assess you ability to teach. You will teach a ‘pupil’ (this can be anyone as long as they haven’t sat ADI part 2) and be watched. Full training for the full part 3 includes training a beginner driver through to being fully test ready, covering the full DVSA syllabus and a mock test. Depending on the performance during the driving instructor test, the candidate will be graded either A,B or fail. 3 full days is £895. This will give you a good overview of all 3 parts of the ADI training syllabus.